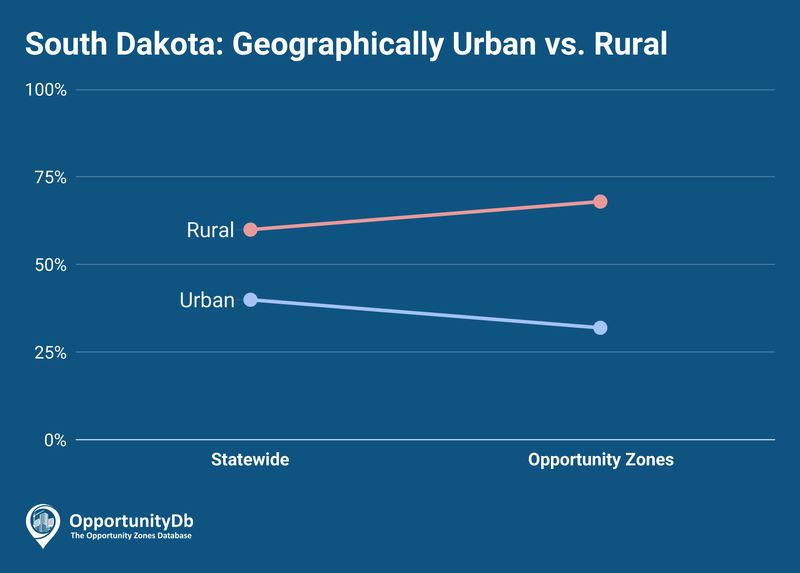 South Dakota has 25 designated opportunity zones, including 23 low-income communities, plus 2 non-low-income contiguous tracts. Unlike most states, the majority of South Dakota’s census tracts (60 percent) are located in rural areas. An even higher proportion of their opportunity zones is rural — 68 percent.